What: The best Oxtail and fried dumpling in Montreal. 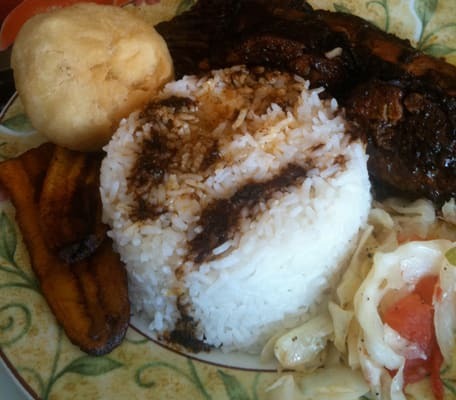 You can find me at the Hot Spot Jamaican restaurant at least once a week eating my favorite Caribbean dish. I used to be the mayor of this place on foursquare (I created the location) until some strange girl who’s apparently there more than I am ousted me. I'm still trying to figure out who she is because every time I'm there all I see are old school Jamaicans with Motorola startacs who would probably think foursquare is a dance.